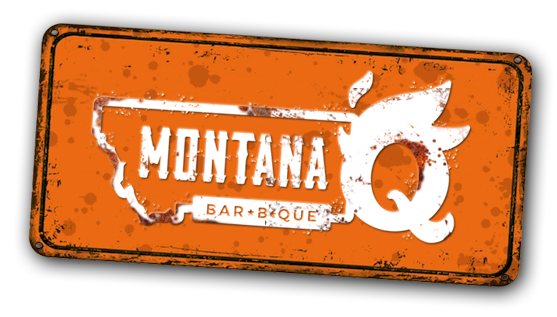 Montana Q - Get Your Grub On! Love BBQ? Love great BBQ sauce? Missoula’s favorite, Montana “Q” is located just minutes away in Frenchtown, Montana. We are a Pro Competition BBQ Team. We feature our Blue Ribbon Sauces and meats every day. Come on down and get a plate of great BBQ! "Get Your Grub On" We also ship out our Award Winning BBQ Sauces. We offer delivery service and setup with servers. We’re happy to accommodate any needs you may have to make your event the best it can be. Have a look at our menu! Let us customize a delicious meal for your next big event!